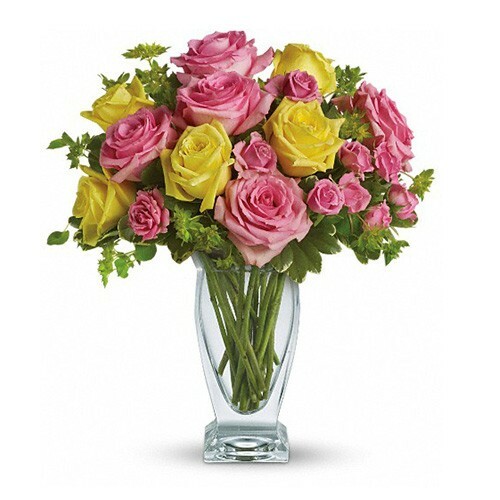 Pink and yellow roses with subtle greenery perfectly brought together in a clear glass vase. A bouquet made for Stars only. Anyone will feel special when they open the door to a brightly colored arrangement such as this, so whether you are looking for the perfect birthday gift or just something to brighten someone's day, this arrangement is the perfect choice.